I've been wearing my bardot style tops all summer and every time I do, I'm asked about bras! Truth is, I have never been able to find a suitable strapless bra so I was doing the 'strap tuck' on an ordinary bra. Which works fine if you don't have much boobage but isn't a solution for anyone more blessed in that department. The conversation moved to bras as the evening went on (I wasn't even drinking! 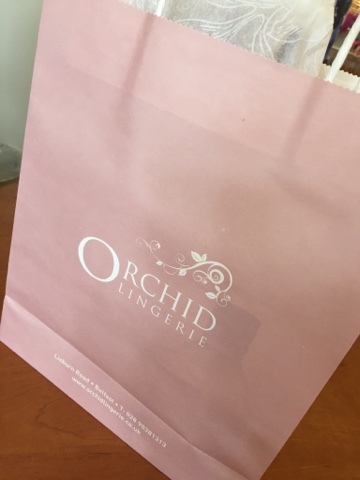 )...and more specifically to strapless bras and by the end of the night, I was making plans to call into Orchid during August for a fitting. but secondly I didn't feel under any pressure to buy - the girls are so helpful but didn't crowd me. I could have easily browsed and left without buying. That's important to me as I like to think about my more expensive purchases and often come back a second time to buy. It however didn't cut the mustard at all - giving me no shape or lift...I just looked flat! I'm thinking it's perhaps better suited to a larger bust - but it just shows how important it is to try before you buy with bras. Next up was the one which Jocelyn told me is the one she personally favours. It's a less well known brand - B-Tempted and I tried it in my usual size. Well, the difference was amazing - it fitted perfectly and gave me a fantastic shape with no overspill or underarm muffins - all for £31. Now I know that's more than some would want to pay for a bra but for a good strapless, I was prepared to spend up to £40. I have bought endless £15/20 ones from high street shops over the years and not one of them has worked for me. I tolerate them only when I need to wear and then bury them at the back of my underwear drawer the other 364 days of the year but this one is wearable daily. In fact, it comes with removable straps so I can opt to pop straps on if I need them, and wear them 3 different ways, straight over my shoulder, cross backed or halter necked. Perfection! The deal was done. While I had lingerie expertise at my fingertips, I asked Jocelyn to show me some of the options for difficult dresses - thinking here of formal and party frocks giving the time of year. 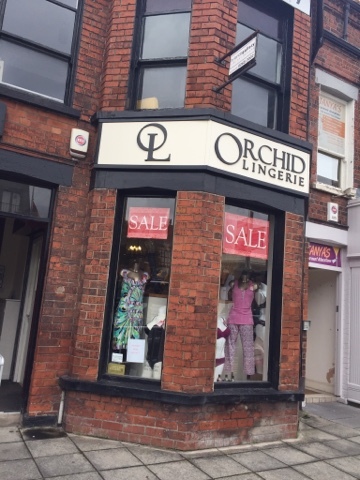 Well things have changed since I last looked into this and Orchid has a huge range of solutions from stick on cups to cups you can sew into the dress...there are very few dresses they can't find you something to wear with. Definitely worth calling in with your dress if you're at a loss. For instance, these ones are individual stick on cups that can be reused up to 20 times. They are perfect for dresses with deep v-necks to the bust. and this is a great option for backless dresses. 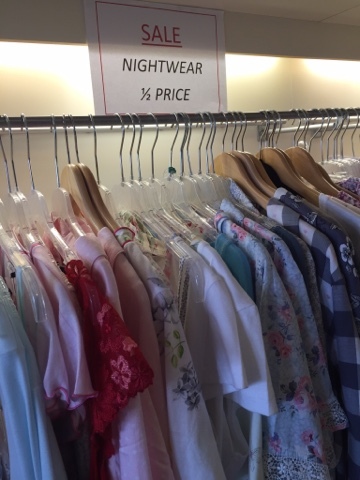 All the occasion options were well priced too - reflecting the fact that they're an occasional wear. 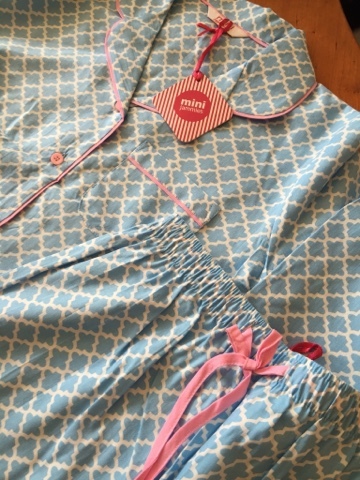 and for AW16, there's a curated selection of kids nightwear too - perfect for Christmas! There's bridal lingerie...though it's too lovely just for brides! 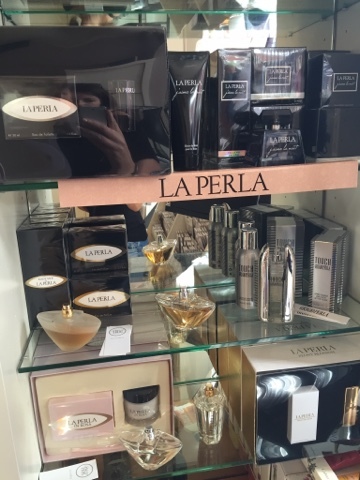 Then a surprise for me, the shop stocks a number of exclusive scents from La Perla - for women and men. It's always nice to find a different and original perfume - another great present idea and Jocelyn told me the Christmas sets are fantastic value and sell out super fast. 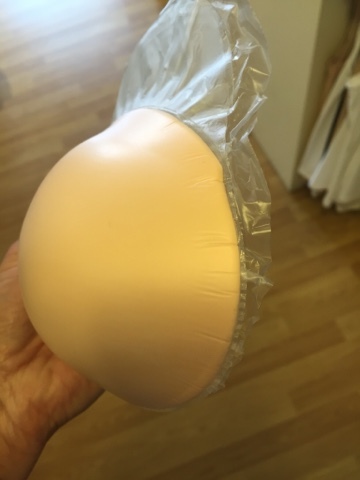 Finally, the shop can cater for anyone requiring specialist underwear or swimwear following surgery with a wide range of mastectomy bras available. Just finishing with this great buy. I asked Jocelyn about laundering my new bra - not having spent as much as this on a bra before, I wanted to treat it a bit better. 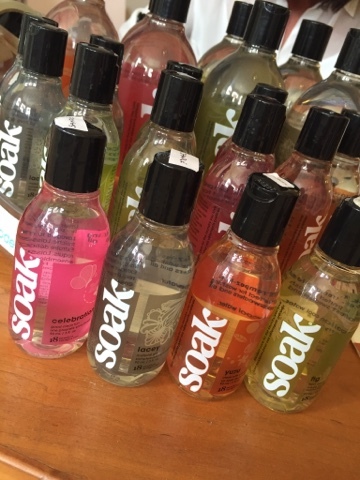 Well, there's a new product called Soak that makes washing delicate items super easy. Ideal for knits, lingerie, swimwear hosiery and even baby clothes, Soak is a rinse free low sud cleaning solution. You simply pour 1tsp of Soak into cool water, soak the item for 15 minutes and then gently squeeze out the water. No need to rinse - amazing! I've used it a couple of times and it really does work. Lessons learned? 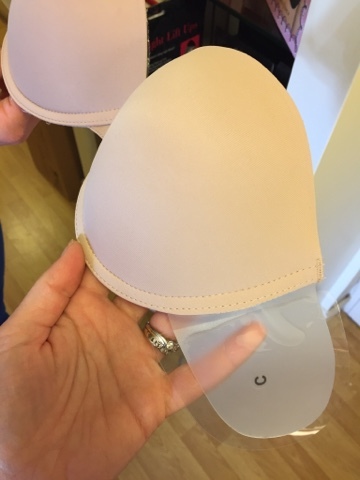 Get measured for each and every bra, spend a bit more for classic and endlessly useful bras like this and don't put them in the wash with everything else. Oh and support a local small business in the process - win/win. Disclaimer - this is not a sponsored post and I bought the bra myself! Thanks for this well-timed post and for doing the hard work road-testing all these strapless bra and other options for Bardot tops. I spent time in M+S trying on their ones today, but didn't buy one. Have now ordered the Be Tempt'd one from Debenhams.